Back and neck pain both tend to be rampant amongst those of us who work from a desk. Sitting in an uncomfortable position for hours at a time can put excessive pressure on your body and potentially lead to lifelong damage. Luckily, it’s easy to take the first step towards a healthier working life. 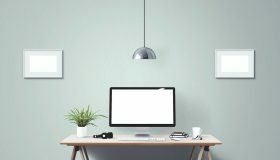 Here, we’re going to go over what you should look for in a chair to prevent discomfort and our top five picks for the best desk chair for back pain. 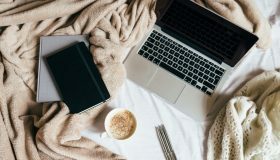 According to figures from the Centers for Disease Control and Prevention (CDC), around one in four Americans spend more than eight hours a day sitting, while almost half said they do no moderate to vigorous activity each week. Our increasingly sedentary lifestyle can wreak havoc on pressure points in the body, particularly in the neck, back, and hips. Sitting with your knees at a 90-degree angle, as most of us do, places excessive pressure on the spine. According to the Cornell University Department of Ergonomics, up to 90 percent more pressure is put on your back when you’re sitting as opposed to when you stand. This phenomenon is primarily due to the way we situate ourselves. When seated, especially when working, many of us are not in the optimal orientation for typing, reading, or staring at a screen. Often we’re hunched over, or we have our shoulders rolled forward, which can compress discs all along the spinal cord. 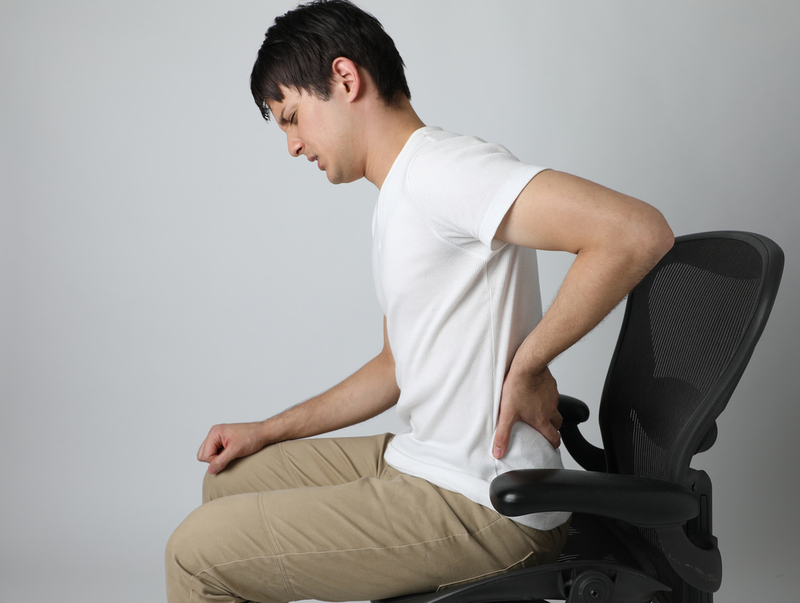 If you suffer from back pain after long hours in your desk chair, you may want to consider looking for a more ergonomic replacement. The best chairs help to support your back and legs, promoting good posture as you work. There’s no one-size-fits-all solution when it comes to desk chairs. We’re all different in shape and size, and the most comfortable model for you may be a nightmare for someone else. You should look for a desk chair that matches your body. If you’re tall, for example, it’s best to opt for a chair with above average height and which leaves ample legroom to avoid stressing your lower back. It’s also a good idea to consider your desk setup when searching for a chair. 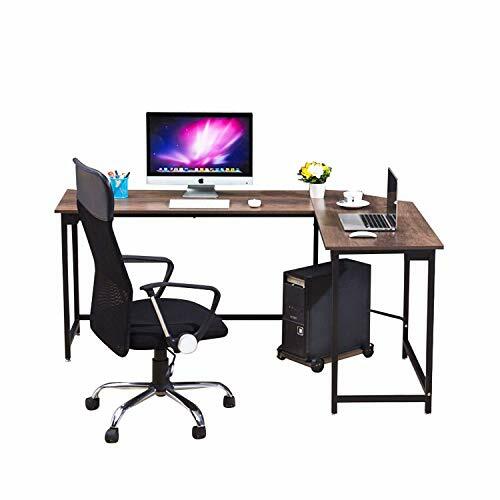 If you have a tall or standing desk, look for a chair that will put you at a comfortable height for typing or writing. The seat depth is also an important consideration. It should support your back and thighs without spilling over the edge of the chair or pressing into armrests. It’s also important that your knees don’t rest directly on the seat, as this can affect circulation. If you’re not sure what size chair you need, or if multiple people will be using it, you may want to look for adjustable models. Adjustable seat height and moveable armrests can help just about anyone to feel comfortable in a desk chair. You can ensure that you’re sitting at a healthy angle, no matter what sort of desk setup you have. The design of the chair is crucial when considering support and stability. It should have a large, solid base to prevent tipping and a durable supporting frame. When it comes to the seat of the chair, a waterfall design is often best. The cushion curves downwards, reducing pressure on your thighs and encouraging healthy circulation as you work. The material used in a chair can make a significant difference in support. A cushioned or mesh back offers optimal support for those suffering from chronic pain and helps to correct posture in the future. Other materials such as leather or vinyl don’t offer the same level of support. 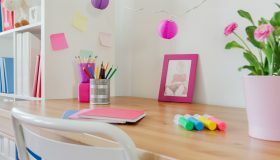 On the other hand, they are easier to clean and maintain if your workspace is located in a high-traffic area. 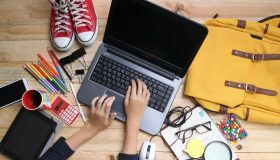 Reaching different areas of your desk can put a strain on your muscles, especially if you’re trying to grab items out of your reach. A maneuverable desk chair allows you to reach farther, speak to colleagues and clients, and move around the office without stressing your body. It’s best to look for a rolling chair with multiple legs. This provides more stability and reduces the risk of your chair tipping over. For more on office ergonomics, check out this article. Without further ado, let’s take a look at our top 5 picks. This affordable chair is fully adjustable, letting you customize it to your body. An easy pneumatic control system lets you raise the chair up and down or adjust the angle of the seat as needed. The black bonded leather upholstery covering the chair’s seat and the seatback is both practical and stylish. It protects the lining underneath from spills and damage while also offering a comfortable surface for sitting. 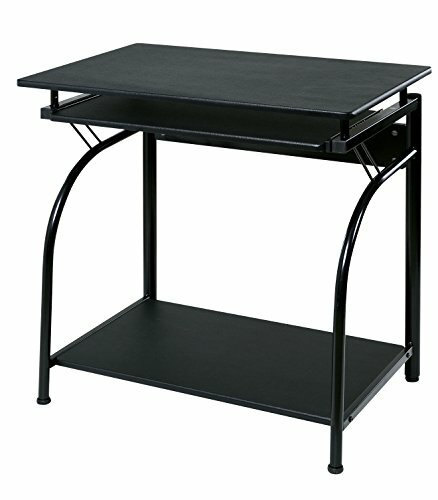 Dual wheel casters make it easier to move around your desk without sliding or getting caught on carpeting. AmazonBasics backs their chair with a one-year limited warranty. If your desk chair breaks or sustains damage, it’s not difficult to find a replacement. This high-end desk chair offers an air of sophistication to any office setting. The seat and back covers are made of bonded leather and PVC fabric to create smooth, subtle upholstery that can withstand daily wear and tear. Both the seat and back have padding for optimal comfort and support. The armrests are also ergonomically curved to prevent stress on your wrists, which can be a particular concern for those with carpal tunnel syndrome. 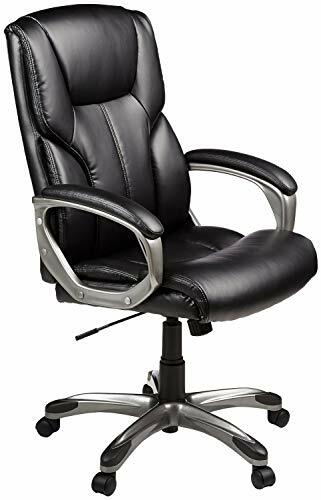 If you need to move around your workspace, the AmazonBasics Executive Swivel Chair offers 360 degrees of maneuverability. Robust nylon casters also allow you to move around your office with ease. 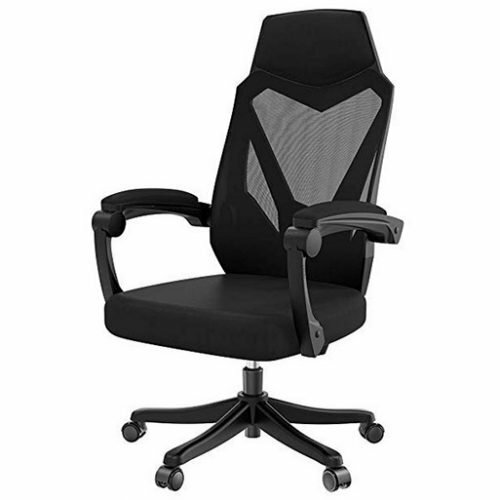 The BestOffice High Back Chair is designed for comfort. It eliminates back pain with a padded backrest and a plush seated cushion. This desk chair offers lumbar support using cushions in the lower back region. They are carefully placed to provide maximal support. The chair is upholstered with fine bicast (or PU) leather for both comfort and durability. PU leather is cheaper than most types of animal leather, and it’s both oil- and water-resistant for easy cleaning. The BestOffice Desk Chair is certified with The Benchmark for Sustainable Commercial Furniture (BIFMA). 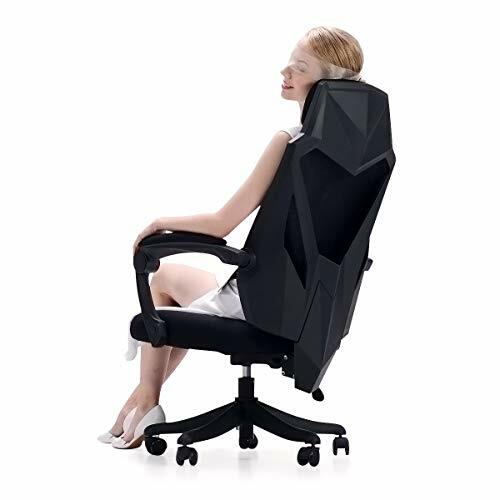 It meets the outlined health and safety standards while offering optimized ergonomic support. ERGONOMIC DESIGN – The seat height adjust ranges from 16″ to 20″ (Suitable for heights under 5’10”)…. An ultra-modern desk chair, the Hbada fits well in most contemporary office setups. It has an angular design and solid construction, boasting a heavy-duty nylon base and rolling casters reinforced with soft PU. The seat height adjusts between 16 and 20 inches, making it an ideal choice for people of all shapes and sizes. Built-in lumbar support keeps your back at a healthy angle by conforming to the natural curvature of your spine. You can recline to a 135 degree angle, which is far better for your spine than the typical 90-degree angle. 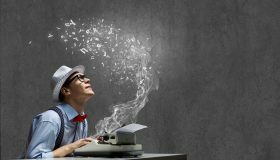 Neck support helps to keep you stable as you write, type, or do other work. As a high-back chair, you also receive plenty of support for your upper and lower back. While this brand might be known for their supportive mattresses, they also make other home furniture that’s designed for optimal comfort. 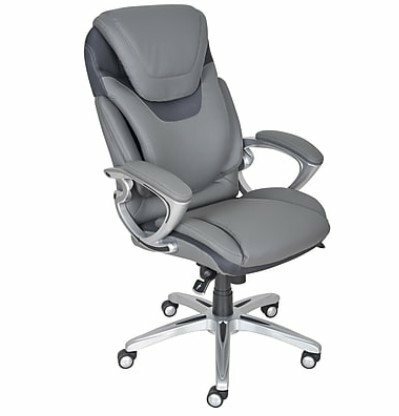 The Serta Air Health Chair has a patented AIR kinetic lumbar support adapts to your movements, offering a solution for back pain that can last all day. A heavily cushioned 25-inch seat back flexes with every move of your body, conforming to your work style. 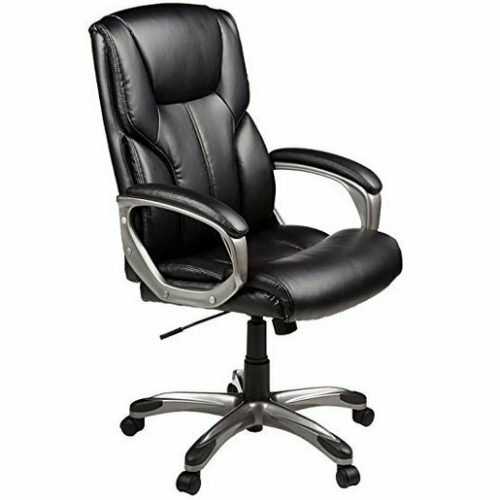 This chair features a smooth pneumatic lift system with adjustable tension and lock-out settings. It allows you and other members of your household to customize seating settings without risking damage to yourself or your office setup. 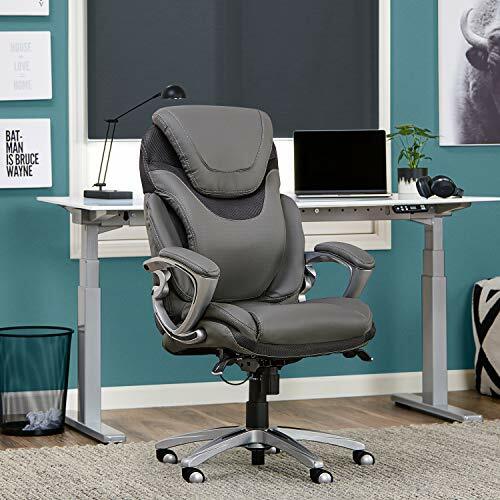 The right desk chair can make all the difference in your workday, helping to improve your wellness, comfort, and productivity without hurting your spine. 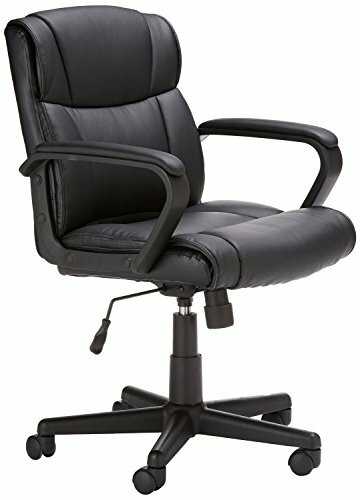 Our favorite desk chair for back pain is the AmazonBasics Classic Leather-Padded Mid-Back Office Chair. 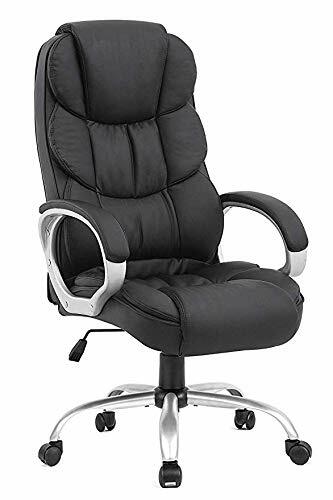 It’s large enough for most users, almost fully adjustable, and offers plenty of support for both the upper and lower back.